Those that follow the mantra “variety is the spice of life” know that joyful experiences occur in medleys–of people, places, and emotions. The more the merrier! 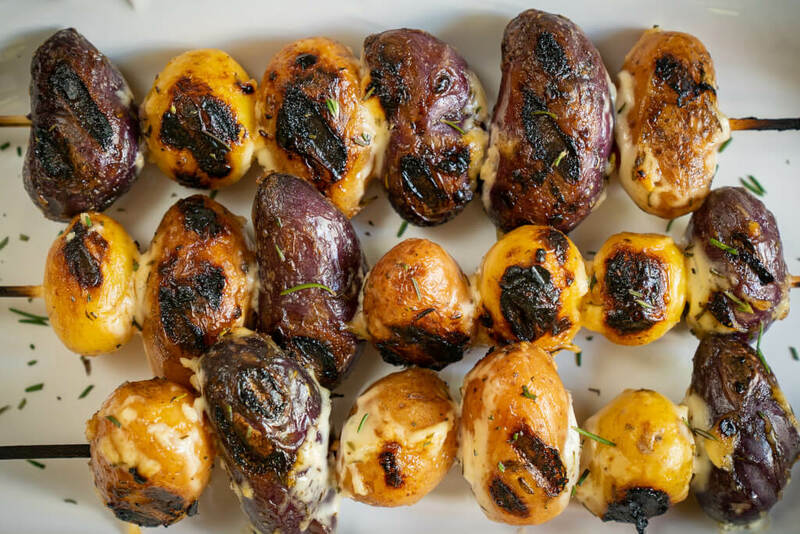 That’s why this recipe from Green Giant™ Fresh is sure to elevate your average potato to grill experience. 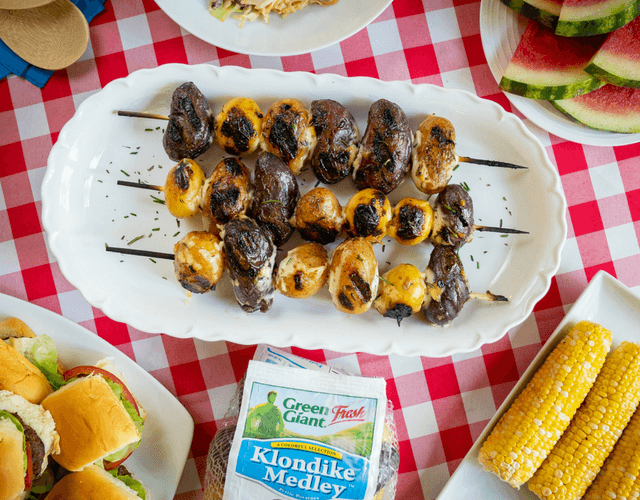 We used Klondike Gourmet Medley potatoes for a colorful assortment of fresh and flavorful. 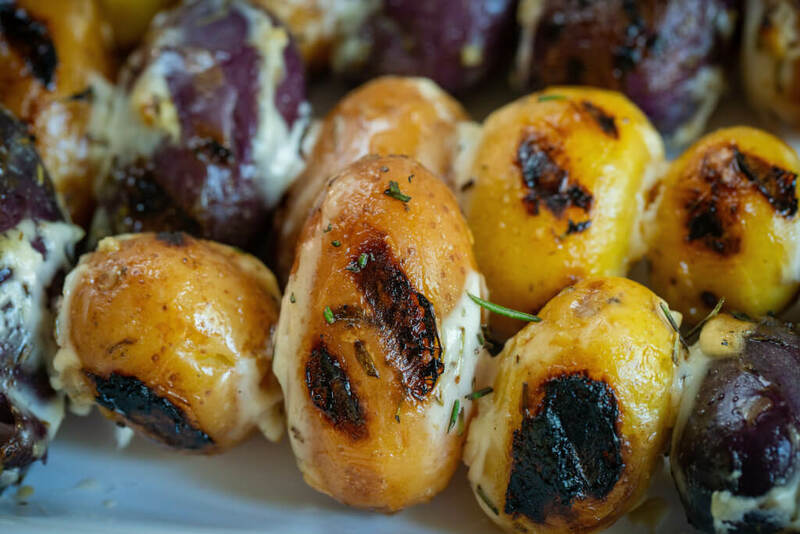 Klondike Gourmet® mini potatoes are chosen for their flavor first and their color, shape, and size next. Beyond their potential for amazing plate presentation or fabulous coloring, their flavor profile is distinct. 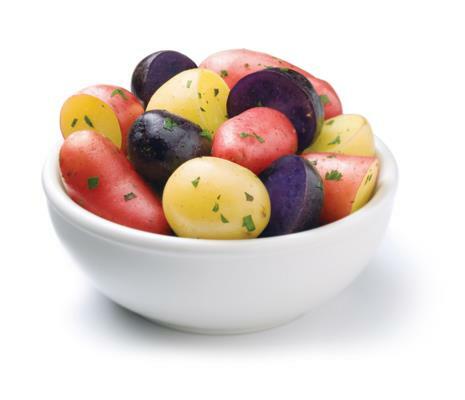 Klondike Gourmet Medley is a delicious variety pack that can include two of the three varieties–red-yellow fleshed, yellow-yellow fleshed, and purple-purple fleshed potatoes. This convenient bag of potatoes brings a great variance to your table and sure to elevate any dish. These mini clusters won’t just refine the aesthetics of your table spread, they’ll also power your dinner guests with beneficial nutrients, including an impressive serving of potassium, fiber, and vitamins C and B6. 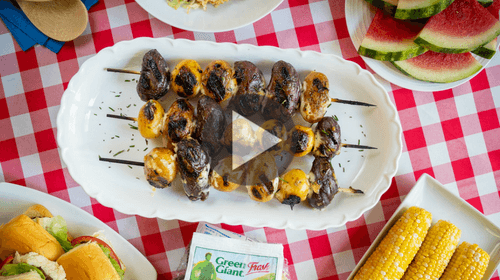 TIP: Spoon extra sauce over kabobs as they grill.